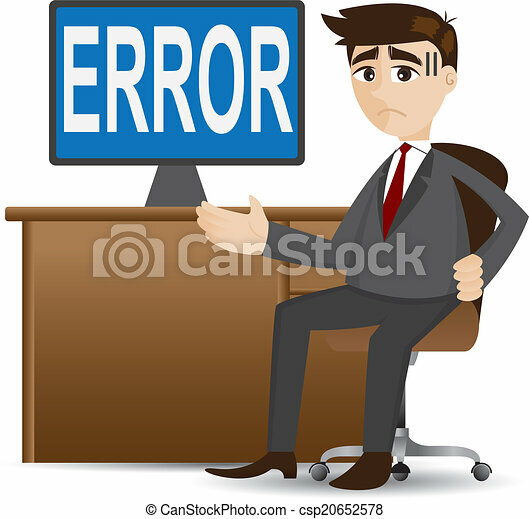 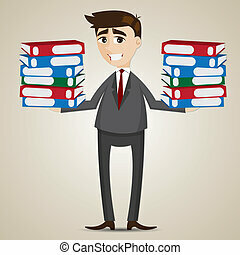 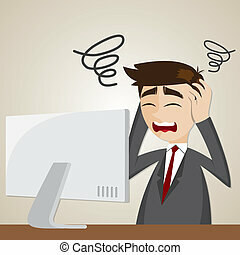 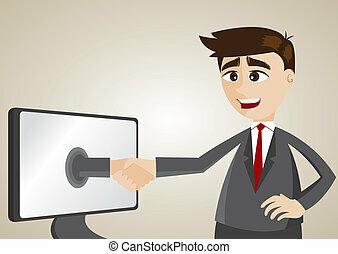 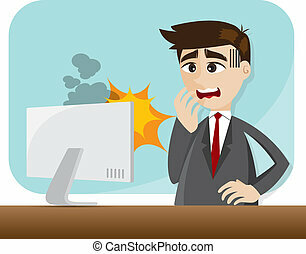 Illustration of cartoon businessman showing error computer. 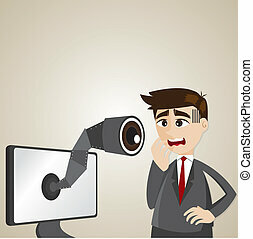 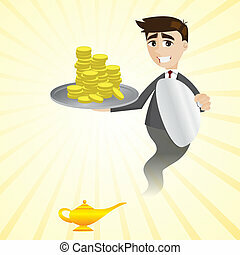 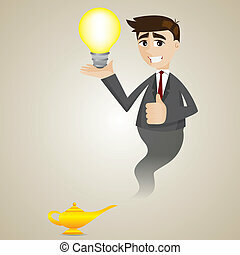 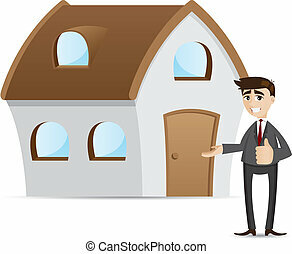 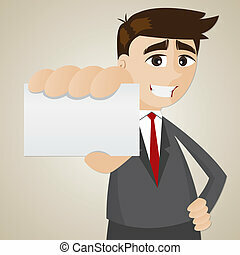 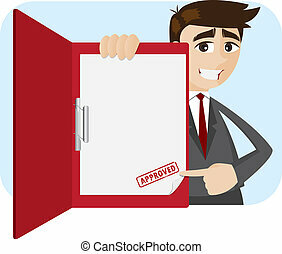 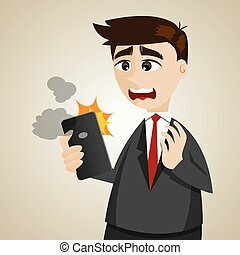 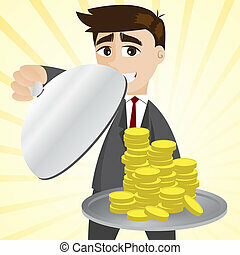 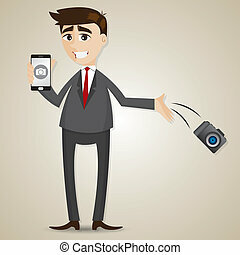 illustration of cartoon businessman drop camera and showing camera in smartphone. 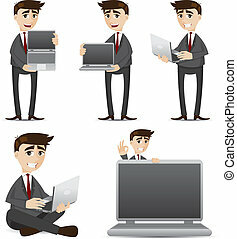 technology concept.